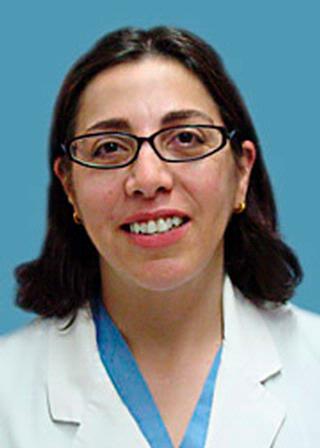 Dr. Talia Sasson is an Associate Professor in Interventional Radiology at the University of Rochester Medical Center. She completed her medical degree at Ben-Gurion University in Beer-Shiva, Israel. Dr. Sasson completed 18 months of a General Surgery residency and a residency in Radiology at Hadassah Medical Center in Jerusalem, Israel. Subsequently, she obtained fellowships in Interventional Radiology and Neuroradiology at the Dotter Interventional Institute in Portland, Oregon. Dr. Sasson was certified in Diagnostic Radiology by the American Board of Raidology in 2009 and received a Certificate of Added Qualification in Interventional Radiology by the ABR in 2011. Since 2009, Dr. Sasson has served as Director of the Interventional Radiology Fellowship Program at University of Rochester Medical Center. Also, she is the Director of the Dialysis Access Center Program at University Imaging at Science Park. Dr. Sasson is a member of the multi-disciplinary Dialysis Access Committee at University of Rochester Medical Center which is in charge of increasing the use of surgical dialysis access for hemodialysis. In addition, she has made several presentations at national professional meetings as well as in Israel. Dr. Sasson is committed to exemplary patient care for dialysis and oncology patients. She strives to provide highly personalized patient treatment and extraordinary communication to their providers to optimize care. Sasson T, Wing RE, Foster TH, Kashyap R, Butani D, Waldman DL. "Assisted maturation of native fistula in two patients with a continuous flow left ventricular assist device." Journal of vascular and interventional radiology : JVIR.. 2014 May 0; 25(5):781-3. Milner LA, Becker MW, Bernstein SH, Bruckner L, Friedberg JW, Holland GA, Ifthikharuddin JJ, Liesveld JL, Mathes EJ, Menchel HL, Mullen CA, Sasson T, Phillips GL. "Intra-arterial methylprednisolone for the management of steroid-refractory acute gastrointestinal and hepatic graft versus host disease." American journal of hematology.. 2011 Aug 0; 86(8):712-4. Epub 2011 May 31. Saad WE, Davies MG, Saad NE, Westesson KE, Patel NC, Sahler LG, Lee DE, Kitanosono T, Sasson T, Waldman DL. "Catheter thrombolysis of thrombosed hepatic arteries in liver transplant recipients: predictors of success and role of thrombolysis." Vascular and endovascular surgery.. 2007 41(1):19-26. Author List: Sasson, T.; Maragh, M.